Eurasia Intl. 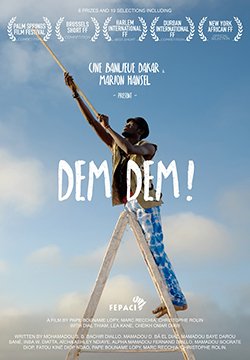 Film Festival 2017 | DEM DEM! Luxemburg, Belgium, Senegal, 2017, 24 min. A Senegalese fisherman finds a Belgian passport on a beach in Dakar and decides to use it. He soon crosses paths with a wise man who measures the clouds and questions the man about his search for identity. They first met in Dakar on a collaborative writing project with the filmmakers of Ciné Banlieue Dakar. They previously made “Sleepless Djigit”, a documentary filmed in Kyrgyzstan.